A web hosting service is like a blank palette offered to the webmaster or web designer, who creates a website using the web host’s real estate. Apart from storing all the files and code that runs a site, a web hosting service also takes care of data, administration, security, maintenance and every other aspect of keeping the website up and running. Over the years, web hosting has seen several evolutions in its form and shape, and 2018 looks to be no different. Let us take a look at what direction web hosting is heading currently and in the future. Instead of a website being hosted only on physical servers, or even on a combination of data center and virtual server, more and more sites will be hosted on the cloud. It will entail getting a cluster of servers together in a secure location, from where hosting will be enabled on virtual servers. 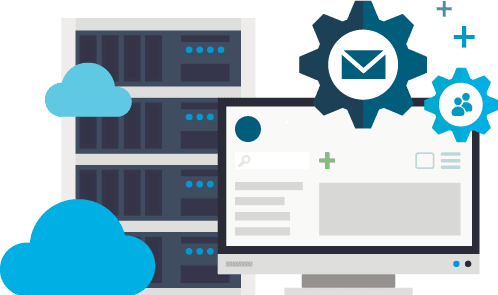 The two significant benefits of cloud hosting are that the account for both overutilization and underutilization of bandwidth, and they are incredibly cost-effective since they usually go by the pay per use model. Cloud hosting will also make the website free of its dependencies on physical servers, so hardware outages will no longer be a reason for the website’s downtime. 2017 saw many security breaches which shook the world, and this has heightened the sense of urgency regarding security. Therefore, a web hosting service provider will only prosper if it can assure foolproof security for the website owner, its visitors and their sensitive data. A reliable web hosting service would provide frequent updates of passwords and other login credentials. HTTPS will be more acceptable than HTTP, SFTP (secure file transfer protocol) would be more welcome than FTP, and things like SSL certifications will be the competitive factor for web hosts. We saw a lot of debate and discussion on net neutrality till 2017, and it will be a deal breaker for most web hosting services negotiations this year. What it means is that a web hosting service would not be able to charge a higher rate for accessing specific apps or websites in return for a faster connection to those websites and apps. On the other side of the table, the site that is hosted by a particular provider would need to pay some fees for its website to be accessible. If some service providers do not abide by the principals of net neutrality, the whole landscape of web hosting will change in 2018. In the context of web hosting, speed has two aspects – one, the speed of getting the website ready and two, the time it will take individual pages of a site to load. With the growing impatience of website visitors, the web hosting services provider will have to ensure that content loads faster. As a Cambridge MA SEO expert pointed out, the page loading speed will also impact the SERP ranking of a website. So to stay ahead in the race for clients, the web host would need to assure quick loading of pages and easy navigability between pages. A company looking for a web hosting provider would find different requirements at different times of the year, and so would search for flexible hosting plans that would take care of the peak periods and the slack periods, and allow the service to be priced accordingly. Web hosts will need to offer dynamic and flexible pricing to clients. Although we have taken firm steps towards cloud-based web hosting, it is imperative to remember that even a cloud needs the presence of a dependable data center with robust servers. Also, these data centers must be able to cover an extensive geographic landscape. Web hosts with several data centers would also be able to make the website more accessible to geo-specific visitors. The fact that a website needs to be easy to access from a mobile device cannot be called a trend for 2018 since this was a reality more than a year back. What will become the trend in 2018 is the use of accelerated mobile pages (AMPs) which is a new project backed by Google. It helps a webpage load faster on a mobile device. Every web host will need to have the ability to provide AMPs to its clients. Websites usually have several images, and when they take several seconds to load, it impacts the user experience negatively and pushes down the Google rank as well. In 2018, web hosts will need to provide easy use of tools like lazy loading, image compression and a variety of image formats so that pictures load faster. 2018 is set to be an exciting year for digital marketing, SEO and web hosting, and only those who can adapt to these trends will survive. Author bio: Charlie Brown is a renowned online marketer with expertise in Cambridge MA SEO. He is a voracious reader with a penchant for writing. He has written many eBooks on search engine optimization, and they have all received positive reviews.